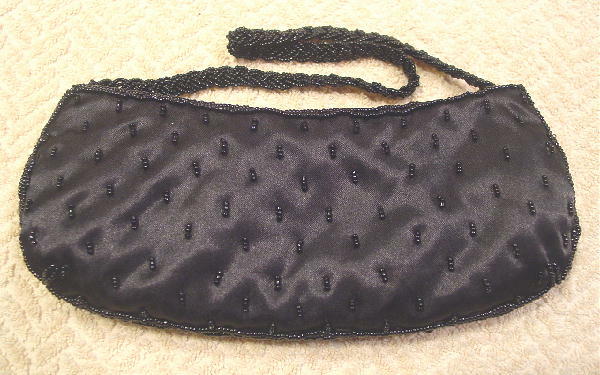 This black 100% satin evening purse is by Jessica McClintock. 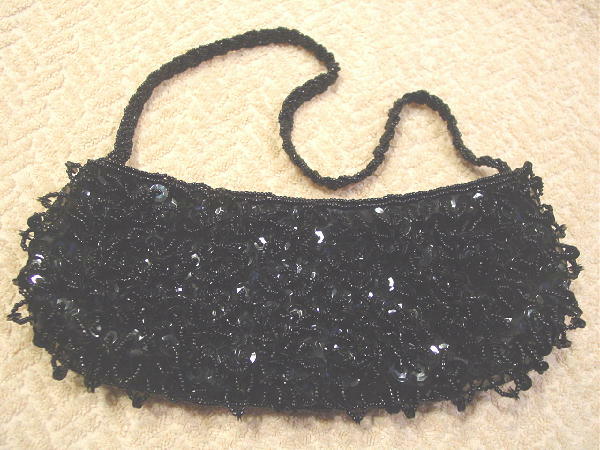 The front side is covered in large black sequins with loops of black round beads with two smaller black sequins on each loop. 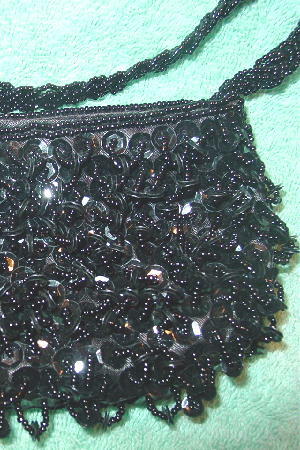 There are three rows of tiny black beads along both side edges and the bottom. The top edges have two rows of beads. The back side has a repeating pattern of columns of three little beads. It has a black lining with an open pocket. There is a 16 1/2" long by 3/8" wide woven beaded handle.